A self-improvement guru's inspiring and effective tips for gaining control of our Herculean workloads and overbooked personal lives. How often do you think to yourself, So much to do and so little time? In the sympathetic and insightful style of The Procrastinator's Handbook, Rita Emmett offers help for those of us with too much to do. The key is not time management but "stuff" management - taking control of all those tasks to do, people to see, commitments and obligations to fulfill. Mismanagement of all that "to-do" stuff is what leads to stress. We often have little control over the demands made upon us, yet we can control our response. That's where the management of stress must start. 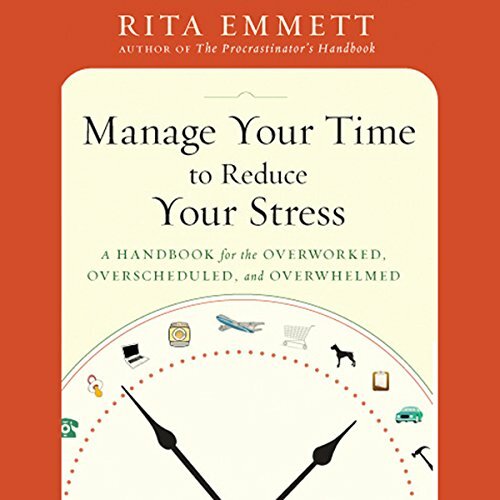 Emmett combines quick, easy-to-digest tips and infectious good humor to give readers positive ways to handle stress and their overly busy lives, first by understanding how stress impacts our physical, mental, and emotional health. She shows us how to cut down on distractions and interruptions that sap our concentration and energy, be more organized and streamline our duties, ask for help and be more selective about what we choose to do, and clarify our values and prioritize activities based on what is important. Spending time doing things that are incongruent with your values, striving for perfection, being overly competitive, and job insecurity are some of the reasons people feel overburdened and overwhelmed. Emmett draws on the stories of many people who have participated in her seminars, and readers will not only identify with their problems but can find common ground in the strategies that have worked for them.